Verifying authenticity is undoubtedly the single most important aspect of investing in precious metals. 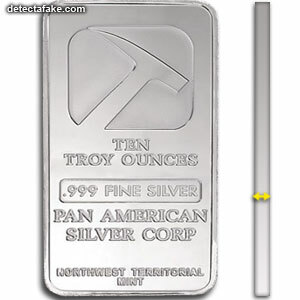 Chinese manufacturer have produced counterfeit silver bars from a number of mints including Johnson-Matthey, Engelhard, Sunshine, NWT & Pan American. 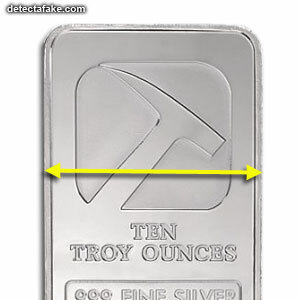 Below are a few ways to identify counterfeit silver bars. First, try the magnet test. Pass a magnet over the bar and see if there is any attraction between the bar and magnet. If there is, it's fake. 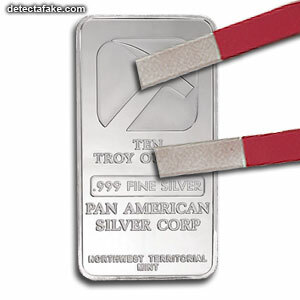 Authentic silver bars will never be attracted by a magnet. 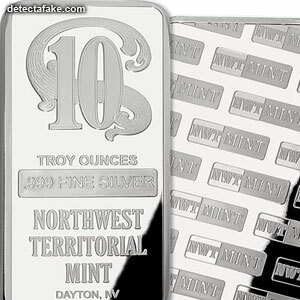 Most counterfeit bars will not either but you need to check everything. Next, check the width. Below is the width a bar should measure from each mint. Next, check the height. Below is the height a bar should measure from each mint. Next, check the thickness of the bar. Below is the thickness a bar should measure.